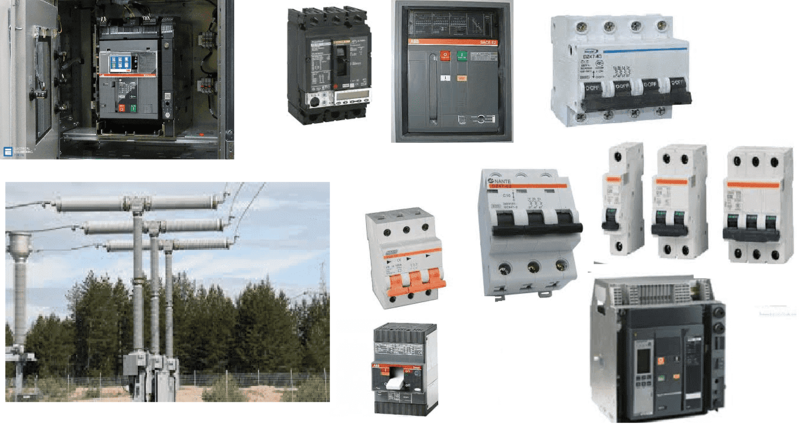 Circuit breakers are the main making and breaking devices in an electrical circuit to allow or disallow flow of power from source to the load and which can be operated manually or automatically. Circuit breakers are advanced version of isolators and they have ability to control electrical arc during fault condition. They carry the total load currents continuously and are expected to be switched ON with loads (making capacity). These should also be capable of breaking a live circuit under normal switching OFF conditions as well as under fault conditions carrying the expected fault current until completely isolating the fault side (rupturing/breaking capacity). 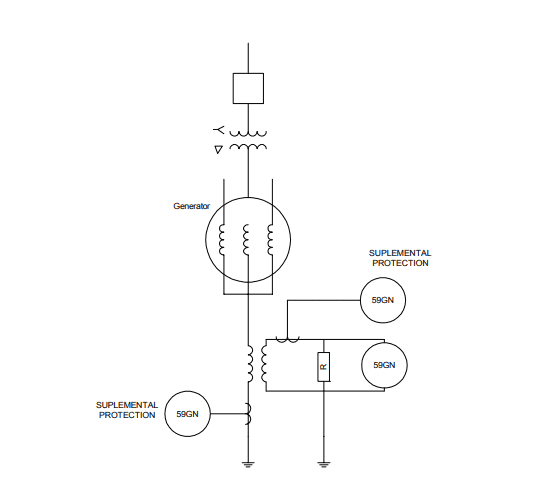 Under fault conditions, the breakers should be operated according to the protection relay’s instruction. Switching ON/OFF the load currents. Carrying full current without blowing itself. 1) Rated short circuit breaking current. This is the maximum short circuit current which a circuit breaker can withstand before it. Finally cleared by opening its contacts. When a short circuit flows through a circuit breaker, there would be thermal and mechanical stresses in the current carrying parts of the breaker. If the contact area and cross-section of the conducting parts of the circuit breaker are not sufficiently large, there may be a chance of permanent damage in insulation as well as conducting parts of the CB. This practice of specifying the breaking capacity in terms of MVA is convenient while calculating the fault levels. However, as per the revised standards, the breaking capacity is expressed in KA for specified conditions of TRV and this method takes into account both breaking current and TRV. The breaking capacity can be both symmetrical and asymmetrical in nature. In asymmetrical breaking capacity the DC component of the current is added. While selecting the circuit breaker for a particular location in the power system the fault level at that location is determined. The rated breaking current can then be selected from standard range. 2) Rated short circuit making current. The short circuit making capacity of circuit breaker is expressed in peak value not in rms value like breaking capacity.It may so happen that circuit breaker may close on an existing fault. In such cases the current increase to the maximum value at the peak of first current loop. The circuit breaker should be able to close without hesitation as contact touch. The circuit breaker should be able to withstand the high mechanical forces during such a closure. These capabilities are proved by carrying out making current test. The rated short circuit making current of a circuit breaker is the peak value of first current loop of short circuit current (I pk)Which the circuit breaker is capable of making at its rated voltage. The rated short circuit making current should be least 2.5 times the r.m.s. value of a.c. component of rated breaking current . In the above equation the factor √2 convert the r.m.s value to peak value. Factor 1.8 takes into account the doubling effect of short circuit current with consideration to slight drop in current during the first quarter cycle . 3) Rated operating sequence of circuit breaker. Where O indicates opening operation of the CB. CO represents closing operation immediately followed by an opening operation without any intentional time delay. t‟ is time between two operations which is necessary to restore the initial conditions and / or to prevent undue heating of conducting parts of circuit breaker. t = 0.3 sec for circuit breaker intended for first auto re closing duty, if not otherwise specified. Suppose rated duty circle of a circuit breaker is 0 – 0.3 sec – CO – 3 min – CO. This means, an opening operation of circuit breaker is followed by a closing operation after a time interval of 0.3 sec, then the circuit breaker again opens without any intentional time delay. After this opening operation the CB is again closed after 3 minutes and then instantly trips without any intentional time delay. 4) Rated short time current. This is the current limit which a circuit breaker can carry safely for certain specific time without any damage. The circuit breakers do not clear the short circuit current as soon as any fault occurs in the system. There always some intentional and an intentional time delays present between the instant of occurrence of fault and instant of clearing the fault by CB. This delay is present because of time of operation of protection relays, time of operation of circuit breaker and also there may be some intentional time delay imposed in relay for proper coordination of power system protection. Hence, after fault, a circuit breaker has to carry the short circuit for certain time. The summation of all time delays should not be more than 3 seconds, hence a circuit breaker should be capable of carrying a maximum fault current for at least this short period of time. A circuit breaker is designed to withstand these stresses. But no circuit breaker has to carry a short circuit current not more than a short period depending upon the coordination of protection. So it is sufficient to make CB capable of withstanding affects of short circuit current for a specified short period. The rated short time current of a circuit breaker is at least equal to rated short circuit breaking current of the circuit breaker. Rated voltage of circuit breaker depends upon its insulation system. For below 400 KV system, the circuit breaker is designed to withstand 10% above the normal system voltage. For above or equal 400 KV system the insulation of circuit breaker should be capable of withstanding 5% above the normal system voltage. That means, rated voltage of circuit breaker corresponds to the highest system voltage. This is because during no load or small load condition the voltage level of power system is allowed rise up to highest voltage rating of the system. A circuit breaker is also subject to two other high voltage condition. 1) Sudden disconnection of huge load for any other cause, the voltage imposed on the CB and also between the contacts when the CB is open, may be very high compared to higher system voltage. This voltage may be of power frequency but does not stay for very long period as this high voltage situation must be cleared by protective switchgear. But a circuit breaker may have to withstand this power frequency over voltage, during its normal life span. The Circuit Breaker must be rated for power frequencies withstand voltage for a specific time only. Generally, the time is 60 seconds. Making power frequency withstand capacity, more than 60 second is not economical and not practically desired as all the abnormal situations of electrical power system are definitely cleared within much smaller period than 60 seconds. 2) Like other apparatuses connected to power system, a circuit breaker may have also to face lightening impulse and switching impulses during its life span. The insulation system of CB has to withstand these impulse voltage waveforms. So a circuit breaker is designed to withstand this impulse peaky voltage for microsecond range only.